My birthday is on the 2nd October and I have 3 brothers and 2 sisters. My favourite game is playing football. In Loul life is hard for children like me. But sponsor me today and you can change my world for good. Ablaye Doky lives in Loul, Senegal. By sponsoring him, you can help his whole community, to make it a better place for children. 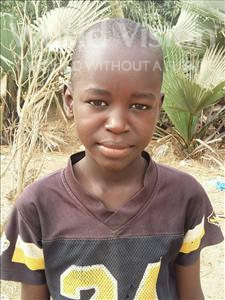 For children like Ablaye Doky, growing up in Loul, hunger and malnutrition are facts of life. Drinking dirty water makes many children sick. Often, school children don’t reach their full potential because teachers are poorly trained and classrooms are overcrowded. Families can't grow enough crops to feed their children and earn a living. Your sponsorship can change Ablaye Doky's world, and his community, for good.